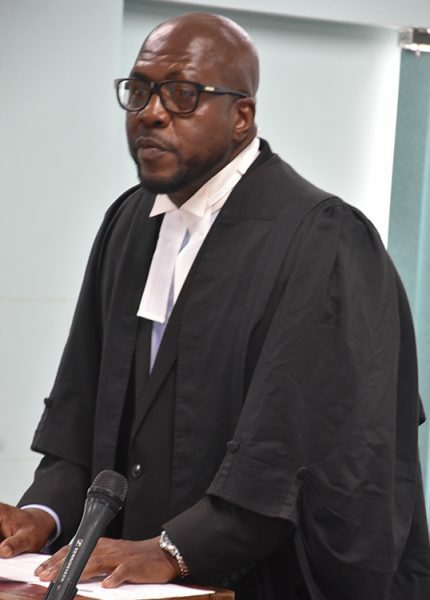 By invitation from the Registrar of the High Court office in Montserrat it stated that we (media) were “invited to attend a Special Sitting of the High Court of Justice on Friday, 5th April, 2019 at 11:00 a.m. – In Recognition of the Late Justice Albert Redhead. It showed that the late Judge was born in 1938 and died in 2019. 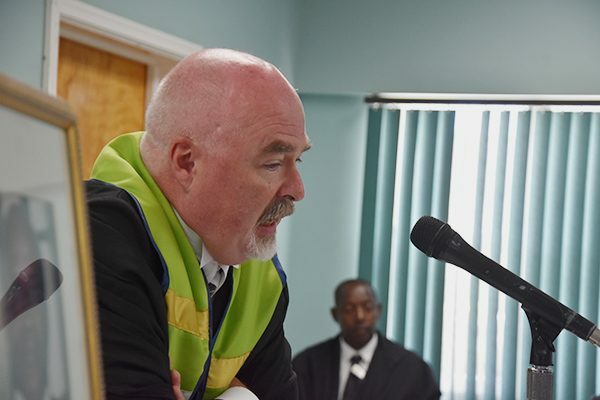 This tribute was in honour “… to his fearless contribution to justice in the OECS and his long service in Montserrat. 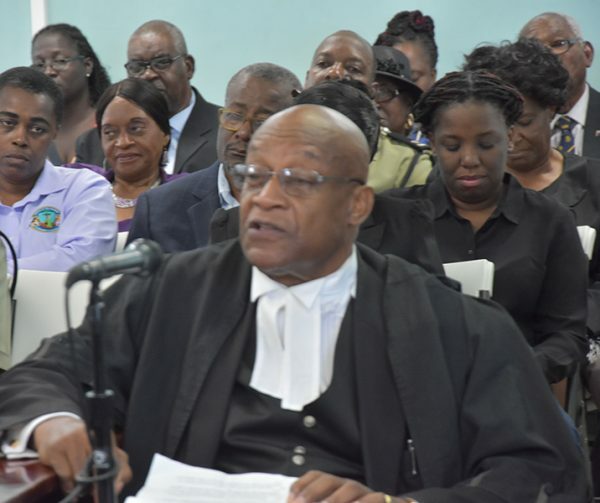 Justice Ian Morley who replaced Judge Redhead when he retired (before returning to assist at various times as he did prior), presided over the special sitting where he, in his welcome read the names and titles where required of the long list of persons who were in attendance in the small now packed make-shift courtroom at Government Headquarters, upstairs the High Court Registry. The order of the addresses as shown on a programme was adhered to by His Lordship Morley. 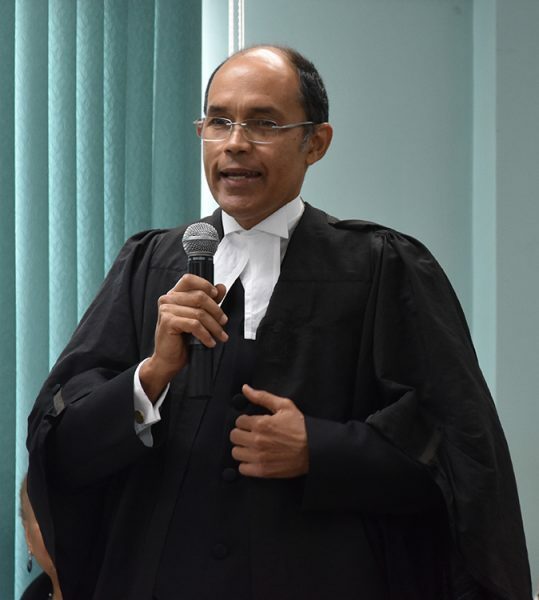 Order of Addresses; – The Honourable Attorney General – Mrs. Sheree Jemmotte Rodney; Mr. Kenneth Allen Q.C. 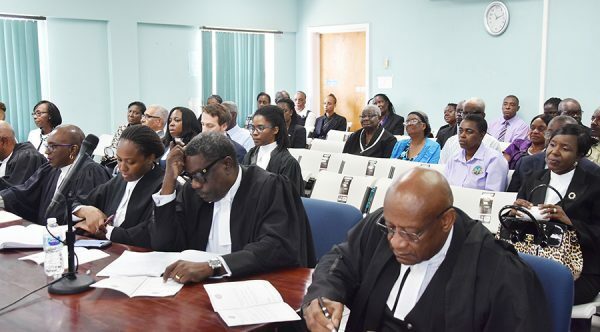 O.B.E – Inner Bar; Mr. David S. Brandt – Senior Counsel Utter Bar; Mr. Jean Kelsick – President, Montserrat Bar Association; Mr. Oris Sullivan – Director of Public Prosecutions; Mr. Kharl Markham – Utter Bar; Ms. Amelia Daley – Public Bar; and, Reply by His Lordship the Honourable; Mr. Justice Iain Morley Q.C. 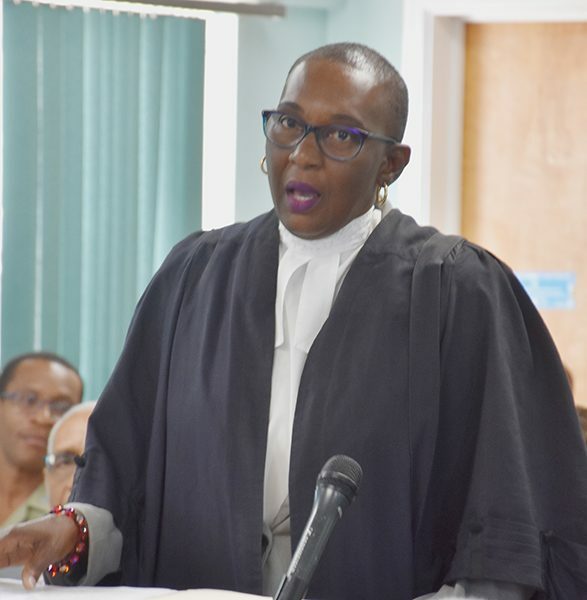 A quick change to that order was allowed when Antigua veteran Attorney Ralph Francis, on court duty in Montserrat was granted permission to speak as he had missed the events and opportunity to do so during the events surrounding the deceased ceremonial events and his subsequent burial. Judge Morley named a long list of persons in his opening welcome at the sitting. They included a list similar to the sitting at which Justice Redhead presided with a junior female judge Agnes Actee beside him. 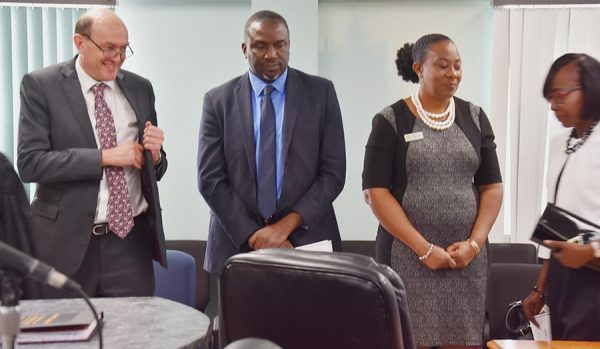 He named them: His Excellency Governor Pierce; Premier Romeo, other Ministers of Government, Delmaude Ryan, Paul Lewis; other Legislative members to include Ag. Minister Claude Hogan and wife Cherlyn Hogan, and other hon members of the Legislative Assembly; Government Claude Hogan and Hon Deputy Governor Mrs. Lyndell Simpson and Mr. Roger Simpson; Attorney General Mrs. Sheree Jemmotte-Rodney, Hon Financial Secretary Colin Owen and Mrs. Owen, Professor Sir Howard Fergus; Senior magistrate Miss Pyumini Weeratunpga and Director of Public Prosecution Mr. Oris Sullivan. Then members of the public service commission, permanent secretaries, heads of departments Commander of the Royal Montserrat Defence Force, Major Alvin Ryan; Commissioner of Police, Mr. Steve Foster; President of the Montserrat Bar Association, Mr. Jean Kelsick; members of the Inner Bar, and members of the Utter bar. Members of the clergy, invited guests; Ladies and gentlemen. The judge then said, “welcome and what a long list here to honour Mr. Justice Redhead. Before calling on the bar members to address their tributes, Judge Morley noted the picture of Redhead on his right and a book of condolence to his left in which he invited guests to enter their names, at the end of the siting and also noting that names had already been entered; as the book had already been at the entrance to the court room. 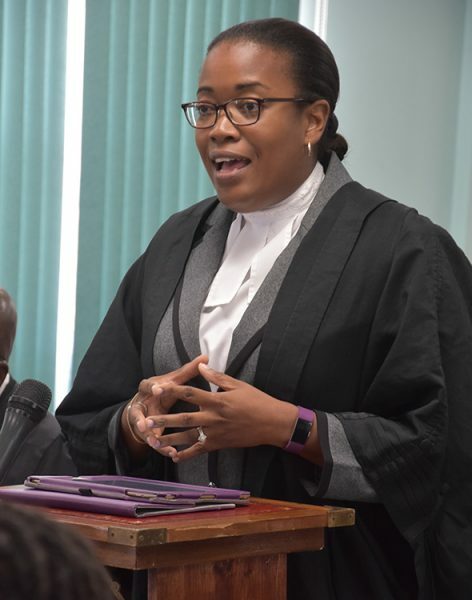 The AG Mrs. Jemmotte Rodney, began the tributes, and put the proceedings well into perspective. 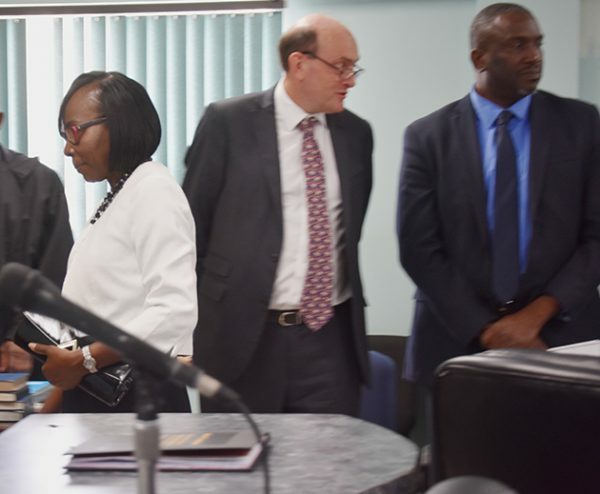 She had along with few others attended those proceedings in Antigua, where she told colleagues there, that Montserrat had already made tributes to Redhead at his retirement special sitting in Montserrat. 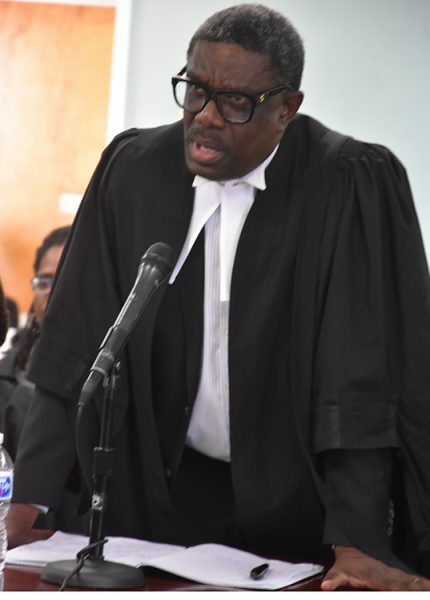 “…it’s unfortunate that as Caribbean people we wait Caribbean people we wait until after someone has passed to basically give them their flowers…in Montserrat we didn’t wait until Justice Redhead had passed…we had a special sitting for Justice Redhead upon his retirement. I was pleased to be able to say that,” she said. She added an explanation for the reason of “this special sitting.” “My lord that notwithstanding it was still necessary for us to have this sitting. Mainly because we as counsels, we want to pay our final respects. And it also gives Mrs. Redhead and the other members of the family who are here, an opportunity to hear from us. 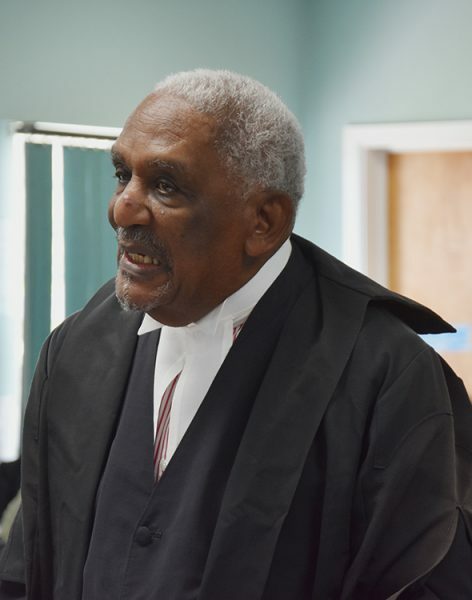 What we thought of Justice Redhead and again, the impact that he had in us as counsels,” adding also, the impact that he had on the Eastern Caribbean Supreme Court. 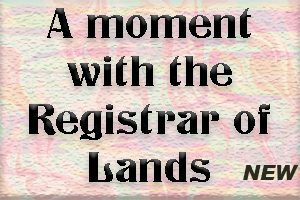 Immediately following was QC Kenneth Allen OBE, eldest member of the bar in Montserrat. He informed that the judge was called to the bar in the UK in society of the Middle Temple in 1972 returning to his home in Grenada. 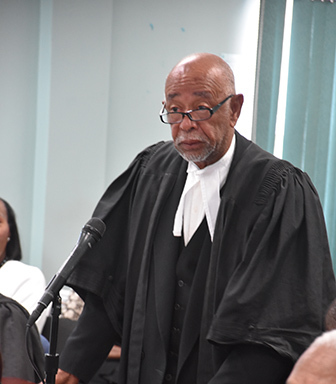 He gave an outline of Redhead’s career as a judge which began in 1985, following his first meeting with him in St. Kitts in 1975 when he served there as a Registrar. In 1985 he was appointed to serve Montserrat and Antigua. 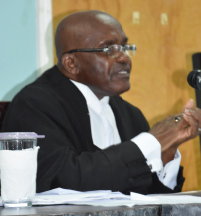 QC Allen was brief as he continued to speak more of Mr. Redhead’s upward movement in the ECSC where he also served in the appeal courts. From the inner bar to the utter bar, senior counsel David S. Brandt was next, and in his tribute, he pronounced: “Abraham Lincoln said “Nearly all men can stand adversity, but if you want to test a man’s character give him power”. “Albert Redhead was one of the most powerful men I’ve ever known. His power derived from extra-ordinary intelligence, eloquence, charisma and wit, not to mention 34 years as a Judge. Yet the legacy he leaves is not about power. It’s about character,” he said. He saw the judge as a role model, mentor and best friend to many. He was fearless and stood up to power, as he cited one trial which involved former deceased Chief Minister John Osborne, where the Governor made certain requests, but refused vehemently by Redhead. He said the judge had respect for lawyers, prosecutors and defence, and disagreements were not held over. The other attorneys who addressed as listed earlier all spoke in the same terms as much was said by the main earlier speakers. 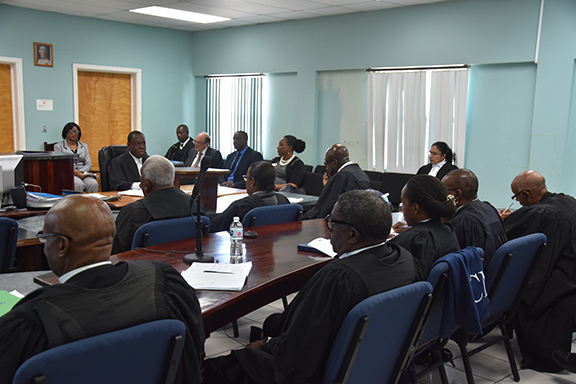 All present heard from Mr. Jean Kelsick – President, Montserrat Bar Association; Mr. Oris Sullivan – Director of Public Prosecutions; Mr. Kharl Markham – Utter Bar; Ms. Amelia Daley – Public Bar; and Antigua veteran Attorney Ralph Francis. Then the Reply by His Lordship the Honourable; Mr. Justice Iain Morley Q.C. He informed the rest of the proceedings for the departure from the court room, repeating the availability of the Condolence book and a gathering after in the Administration building meeting area. (These addresses may be heard as they become available at www.themontserratreporter.com or on soundcloud in due course). Rep. Ro Khanna: "I think the President and the White House need a civics lesson. We have separation of powers for a reason."